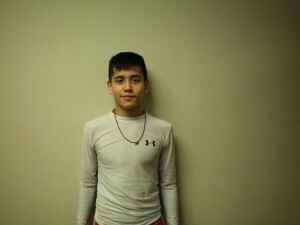 The 70th Member of the Soccer Fitness 20 MPH Club, Mansoor successfully completed 2 separate, 4-second running bouts, at a top speed of exactly 20 miles per hour, on Tuesday, February 21, 2012. A member of the West Rouge 1997 Boys OYSL team, Mansoor has ambitions to play professional, or at an NCAA Division-1 College, when he is older. We at Soccer Fitness would like to congratulate Mansoor on his accomplishment, and are looking forward to continuing to work with him throughout his soccer career.